Considered one of Italy’s greatest red wines, Barolo is a favorite of oenophiles around the world. 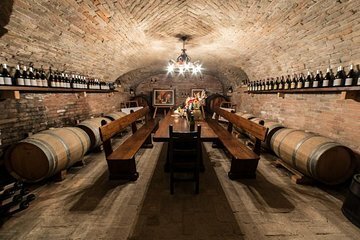 During your next visit to the Piedmont wine region—a UNESCO World Heritage Site—learn more about how Barolo and other local varietals are made during a behind-the-scenes tour of a family-run winery. Tour the vineyards, visit the cellar, and enjoy samples of a dozen wines, plus locally made meats and cheese.